Enhances athletic performance by maintaining the body in optimal condition. Helps to prevent injuries, and prepares the body for athletic activity. Aides in recovery from workouts or injuries. Massage has been shown to help manage pain, nausea, fatigue, anxiety and depression - whether you are in active treatment between treatments or post treatment. 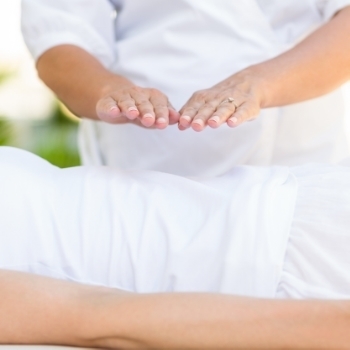 Shiatsu is an ancient Japanese form of bodywork that utilizes meridians, the same system as acupuncturists. Finger pressure, kneading and gentle stretching are applied to remind the body of it's natural moment of Chi. Shiatsu can be used in the treatment of a wide range of internal, musculoskeletal and emotional conditions. Since this is done fully clothed on a futon mat on the floor, please wear comfortable, stretchable clothing. MLD massage techniques are designed to move lymph fluid from the tissues back into the cardiovascular system. Some of the things MLD is used for are: uncomplicated cases of lymphedema, swelling associated with injuries, trauma, and surgeries, Fibromyalgia, Rheumatoid Arthritis, Scleroderma, migraines, sinus headaches and anxiety. Share the relaxing massage experience with a friend or loved one on side-by-side tables in our exclusive duo suite. NOTE: This service cannot be booked online. Please call our wellness center at 401.398.0786 to reserve your time. Abhyanga is a type of Ayurvedic massage using hot oil to nourish and detox the body. The massage is done with gentle pressure toward and away from the heart to enhance the flow of blood throughout the body while working the oil into the tissues. The benefits of Abhyanga are: to improve circulation, nourish the body systems, improve immunity, to relax body and mind and to help maintain an overall healthy balance in the body. Please note: you are draped with a bath towel, oil is used in your hair and on your face, there is a chant done before the massage, done with minimal talking since the goal is to get the client and therapist into a meditative state for maximum benefit, traditional abhyanga works on and around the lymph nodes in the chest - this is optional. This massage relieves many normal discomforts for the expectant and new mother. Medical Intuitive Therapy identifies blocks through the physical body and emotional factors that act as direct contributors to health issues. Once these factors are identified, the therapist uses energy work and counseling to help release the blockages and trauma, allowing the body to begin to heal. A safe, simple remedy for gently removing excess wax and toxins from inside the ears and Eustachian tubes. Includes acupressure. NOTE: This product cannot be booked through our online scheduling service. If you choose to pay ahead, simply alert us to your purchase at the time of your appointment. Choose any two 30-minute treatments of Swedish Massage, Reflexology, or Reiki. Holistic counseling is the integration of the mind, body and spirit which is crucial to the healing process. This type of counseling involves cognitive mental health therapy and the holistic approach which incorporates the mind, body, spirit connection in order for the individual to get to their core issues. Techniques such as meditation, art therapy and hypnosis could be used to aid the person during the process. We are here to help you be your best self! Our therapists tailor each session based on clients' needs. In addition to the above mentioned modalities, the following may also be used: Craniosacral Therapy, Trigger Point Therapy, Myofascial Release, Neuromuscular Therapy, Russian, Lymphatic Drainage, Medical Massage, Shiatsu and/or Stretching. Please feel free to discuss your preferences and ask questions before your service commences.